This book is about a young girl who is about to start school, she is excited but she begins to worry. Her worries turn into a little worry monster. 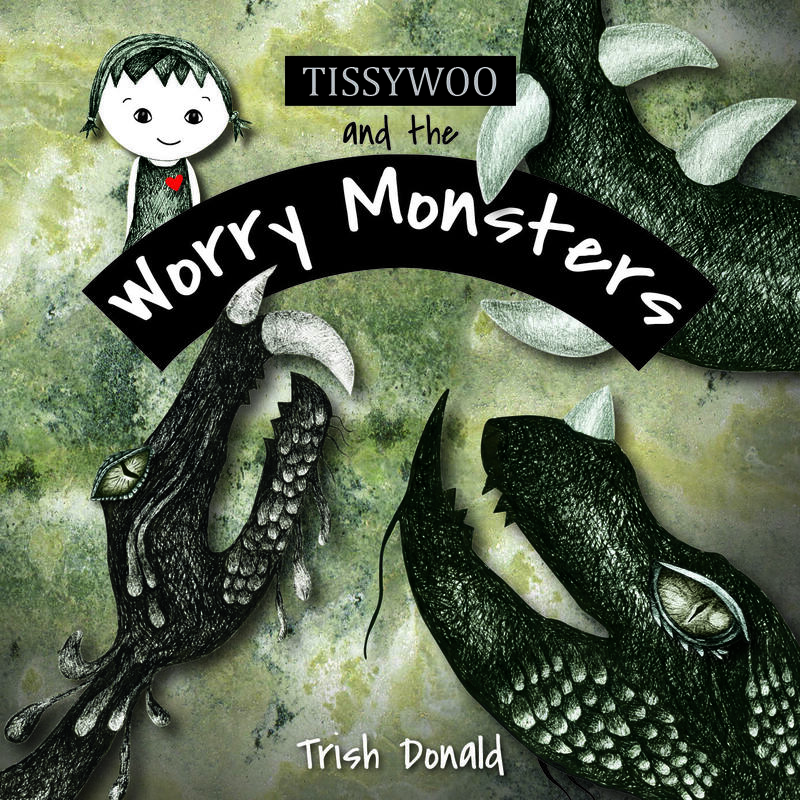 Tissywoo keeps on worrying and the monsters begin to grow bigger. She is scared and frightened but just as they threaten to overwhelm her she remembers something her mother told her to do when the worry monsters come. Tissywoo uses breathing techniques to calm herself, slow deep breathes in and out. The more she controls her breathing the better she feels. 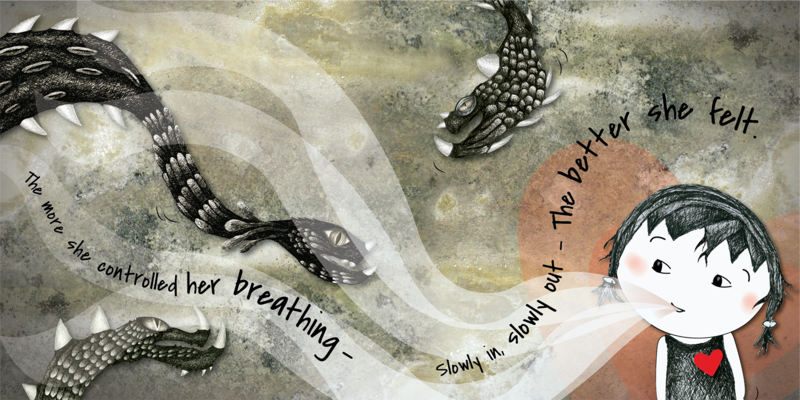 Please have a look at this wonderful review by Rebecca Blakeney of CBCA Reading Time here. 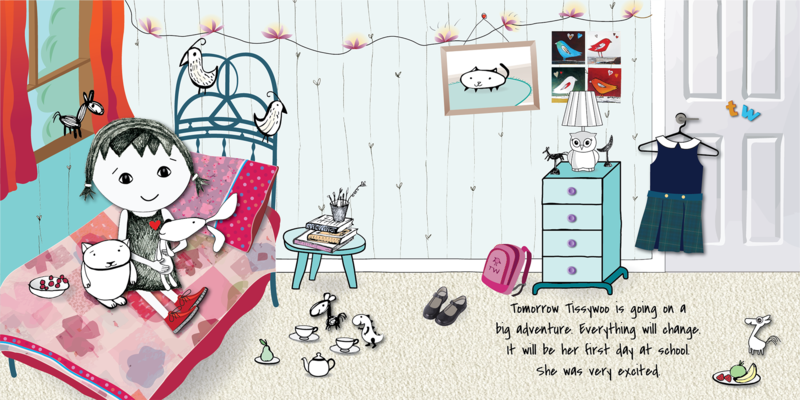 A really lovely review by Romi Sharp of Just Write for Kids here. Here is a review from an Early Childhood Educator from a local Childcare Centre following a visit by Trish: From the moment I read the book ‘Tissywoo and the Worry Monsters’, I knew that the Preschool children at my Childcare Centre would love it as much as I did as it related to the children who will be heading to school next year. The illustrations in this book are absolutely amazing. The detail in every page and the colour palate attracted the children’s attention and they didn’t find the monsters too scary. The children and educators loved the book so much that we purchased a copy on the spot.Trish connected very well with the children from the moment she walked into the room. She came very well prepared, with age appropriate activities for the children to do and short breathing exercises to get the children engaged in the book. A very bubbly and energetic presentation was displayed. We can’t wait for Trish to come back and visit with her next book. “I love the story and what it means, my son understands it and practices the breathing and requests it every night”. Trish explores various mediums from digital drawings, pen, acrylics and mixed media. She has exhibited landscape paintings for many years in group and solo shows but in recent times has developed a passion for sweet and quirky characters. Trish has a Bachelor of Fine Arts degree from Canterbury University, Christchurch New Zealand where she majored in Graphic Design. Her design career has seen her work in a variety of studios in NZ and Australia as well as teaching graphic design at TAFE, where she helped to build a vibrant design community within the institute. Trish is currently a Learning Media Producer for the University of New England, which she thoroughly enjoys. She is currently on the Board of Directors for the New England Writers’ Centre and is enjoying the creative overlap of writing, illustrating, painting, and design. Trish had a short story and illustration published in an anthology Once Upon a Christmas by Christmas Press in 2014 and is delighted to join with Little Pink Dog Books to create her first picture book. To find out more about Trish please visit her Blog, Facebook and The Style File.